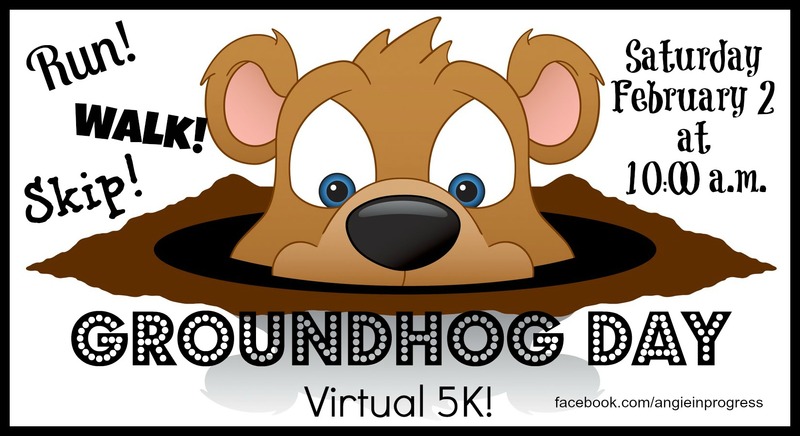 Groundhog Day – Virtual 5K! Interested in doing a 5K? Grab a friend, spouse, neighbor, significant other, dog, stranger, etc…and hit the road, the sidewalk, the treadmill…WHATEVER! This is your 5K to run, walk, skip, hop, crawl ANYWAY you like! *You get the idea, right?! You’ve got about 2 weeks to train, recruit, and plan for the big event. Map out a 3.1 mile course, dust off your treadmill, or find a local track…and lace up your shoes! On Saturday February 2, at 10:00 a.m., we’ll all do our own personal 5K’s, however, wherever and with whomever we choose! We’ll then report back with our results and celebrate all of our personal victories! Whether it’s your first or fiftieth 5K, it’s your race to win! Put it on your calendar and start training! Sign up below to receive additional information, training tips and instructions! Pass it on, and make it an event to share! It will be my mothers 77th birthday on February 2nd, I’ll do it for her. Previous PostPrevious Oodles of Zoodles! Next PostNext Salad Dressing with your Pancakes?